Mobile network O2 has said that it's pleased with sales of Apple's iconic iPhone so far, saying it has sold around 20,000 to 40,000 phones in its opening weekend. That's a good deal less than a Daily Mirror report which said that 70,000 iPhones had been sold since Friday 9th November. O2 says the sales so far have been in line 'with expectations'. "We have hundreds of thousands [of iPhones] more coming into stock over the coming weeks, and demand and interest are huge." 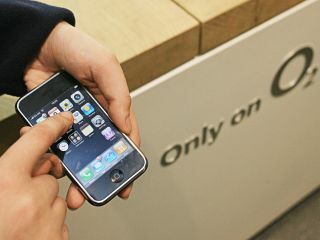 O2 expects to have sold 200,000 iPhones by Christmas. In separate news Apple has also confirmed that it is introducing a battery replacement program for UK buyers of the iPhone. It will charge £55 for replacements that fall outside the scope of its 12-month warranty.